If God loves Israel, and He does indeed, why have they suffered more than any other people group or nation on the earth? This is a fair question in the light of the Bible and history as we see them still afflicted by their enemies on every side. According to God’s Word; “Theirs is the adoption, the glory, the covenants, the giving of the law, the worship, and the promises. To them belong the patriarchs, and from their race, according to the flesh, is the Messiah, who is God over all, blessed forever. Amen.” (Romans 9:4-5) Yet they have suffered so much down through their long history. According to the Torah Israel were given God’s laws and commandments and attached to these were blessings for obedience and curses for disobedience. (Deuteronomy Chapter 28) When Israel walked by faith and sought to walk in accordance with God’s law and commandments they were protected from their enemies, however, when Israel walked in unbelief and sought to go contrary to God’s revealed Word they were attacked and oppressed by their enemies. The Book of Judges gives ample testimony to this Biblical truth. When Israel fell into extremity because of the overwhelming might of their enemies they called out to the LORD and He sent them Judges to bring them deliverance. When these afflictions from their enemies came upon Israel God was trying to get their attention regarding their spiritual waywardness. During the times of the Kings of Israel and Judah He sent them His prophets to try to bring about repentance and correction for His people but they refused to listen to His servants the prophets He sent among them. Finally He sent His One and only Begotten Son and Israel by enlarge rejected Him. Forty years after the Lord Jesus had risen from the dead and ascended to heaven the Jewish nation continued to reject the salvation only found in their Messiah the Lord Jesus. It all came to an abrupt end in 70 AD when Biblical Mosaic Judaism ceased to exist even as it does to this day. Today Israel is back in the land bequeathed to them by God when He cut a blood covenant with Abraham and promised Him and his descendants through the line of Isaac and Jacob the whole land of Israel from the Wadi of Egypt to the Euphrates River to be for them “an everlasting possession.” (Genesis 15:17-19; 17:7-8) In the Millennial Messianic Kingdom Israel will “possess their possessions” and “possess the gate of their enemies.” (Obadiah 1:17) (Genesis 22:17) The Prophet Ezekiel foretold their restoration to the land but that they would be gathered again in unbelief. (Ezekiel 37:1-8) This was fulfilled in 1948 and confirmed in the prophet Isaiah when by God’s will “a nation was born in a day.” (Isaiah 66:7-9) As to their spiritual restoration it is still in the future. (Ezekiel 37:9-14) After this spiritual restoration the faithful surviving remnant of Israelis will enter into the Millennial Messianic Kingdom (Ezekiel 37:15-28) this prophecy given in Zechariah 13:7-9 has four applications. God is turning His grace and purposes of salvation back to Israel because of the covenant He made with Abraham, Isaac and Jacob to give them the land of Israel to be for them an everlasting possession, a land that would stretch from the wadi of Egypt to the Euphrates River. (Genesis 15:17-19; 17:7-8) The Lord Jesus Himself cut the New Covenant of salvation with the House of Israel and with the House of Judah, not the Church. (Jeremiah 31:31) The Church is part of Israel by incorporation and inclusion but has not replaced Israel. God has never abandoned Israel and even though they have been away from Him for over 2,000 years He has not abandoned them. For His own names sake, not for their own sakes, He is going to have mercy on them as His people in the last days just prior to the return of their Messiah our Lord Jesus. 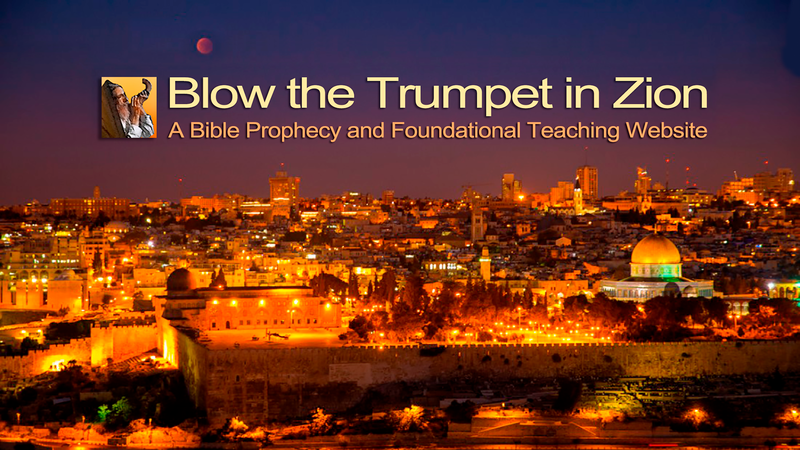 (Ezekiel 36:19-21) A third of Israel’s population will be saved out of this time of Great Trouble for Jacob. (Jeremiah 30:1-7) There will also be a remnant saved out of Christendom. (Matthew 7:14) Together the redeemed Jews and Gentiles will go into the Millennial Kingdom to co-reign with their Messiah and with the saints of all the ages since the time of Abel. This reign will continue into all of eternity. (Daniel 7:18, 22, 27) (Revelation 2:26-27; 20:4-6; 22:5) So then this is what God says about Israel; “Can a woman forget her nursing child And have no compassion on the son of her womb? Even these may forget, but I will not forget you. “Behold, I have engraved you on the palms of My hands; Your walls are continually before Me.” (Isaiah 49:15-16) The nail scarred hands of Jesus says it all!